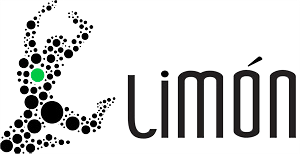 The Limón Program is open to Domestic and International Students. This program is designed as a unique Professional Study Program (PSP) and is offered through a collaboration between the renowned Limón Institute and Peridance Capezio Center. The Limón Program is an independent accredited program through the National Association of Schools of Dance (NASD). The Limón Institute offers a unique 9-month Professional Studies Program (PSP) and 12-week Fall and Spring Intensives. The PSP program offers in-depth training in Limón technique and repertory in a context that includes historical and aesthetic perspectives. It is appropriate for dancers who have already completed a college program with a dance emphasis, and for international students with extensive dance backgrounds. The ISP also combines technique and repertory experiences, and is designed for college dance majors who want the experience of a semester in New York City, and for international students on F-1 Visas. Both programs include performance opportunities. Application deadline: May 31. The ISP program is a 3-month intensive studies program, September to December and February to May, designed for college dance majors who want the experience of a semester in New York City, and for international students through the F-1 Visa. Includes performance opportunities. Application deadline: May 31. The Limón faculty includes former and current Company members and affiliated artists, including: Becky Brown, Geraldine Cardiel, Katie Diamond, Ryoko Kudo, Jim May, Risa Steinberg, Kathryn Alter, Daniel Fetecua, Sue Bernhard, Raphael Boumaila and repertory workshops with Carla Maxwell, Roxane D'Orleans Juste, Betty Jones, Nina Watt and others. To learn more about the application process required for all International Students please see the International Students Program Information page and follow the procedures under "How to Apply." Peridance costs only. For Limon extras please contact Limon directly. All fees are subject to change. Participation in special workshops, seminars, or master classes may incur additional costs.